Fill a large pot with water, place over high heat, and let come to a boil; add the salt. 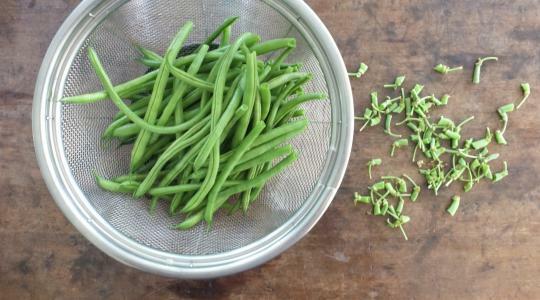 Pick the stem ends from the green beans and discard. Add the beans to the pot and cook until just tender, 3 to 5 minutes. Drain and run cold water to stop the cooking. 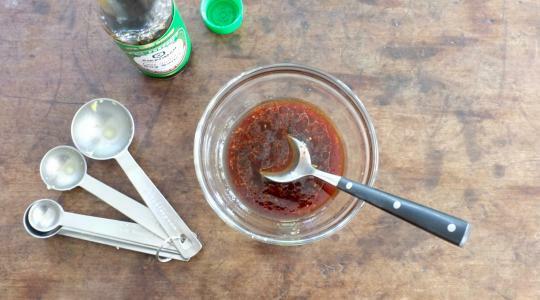 In a small bowl, combine the soy sauce, sesame oil, ginger, sugar, and the chile, to taste. Return the pot to low heat and add the soy mixture. Once it starts to bubble, add the beans and toss until heated through and well coated. 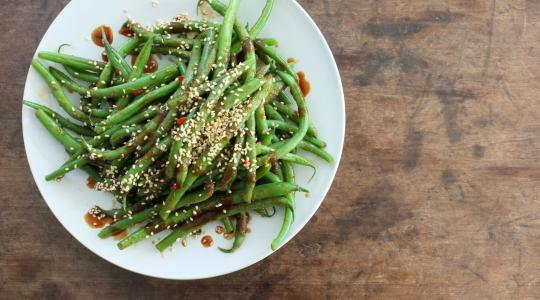 Serve sprinkled with the sesame seeds.